Negotiators for Marriott and the union representing thousands of its San Francisco workers plan to resume contract talks in the next two weeks after union members gave their leaders permission to call a strike. 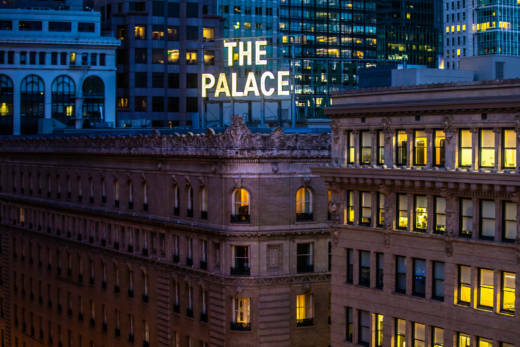 Representatives for Unite Here Local 2 announced Thursday night that close to 99 percent of its workers voted to authorize a walkout at seven Marriott hotels in downtown San Francisco. "It's time for Marriott to stop dragging their feet and start taking negotiations seriously," Unite Here Local 2 President Anand Singh said in a statement. Union leaders say they're pushing Marriott, one of the city's largest hotel employers, for higher wages for the company's 2,300 housekeepers, kitchen workers, bartenders and bellmen in San Francisco. A walkout has not been called, but the union emphasizes that a "strike could now be called at any time." The strong authorization vote results could speed up the talks and put extra pressure on Marriott, according to UC Berkeley professor Harley Shaiken, who specializes in labor issues. "Something that overwhelming at a critical period could mean a settlement comes sooner," Shaiken said. An organizer with Unite Here Local 2 said talks are set to resume later this month. The union began negotiating with Marriott in June. The workers have been working without a contract since Aug. 15. "Through many years of working with Unite Here, we have always taken the negotiation process seriously and reached agreements," a Marriott International spokesperson said in an email. "We have no reason to believe that this negotiation process will be any different. We respect the right of our associates to voice their opinions on issues that are important to them." The representative said if employees choose to go on strike, the hotels "will continue to operate and work to minimize any disruption and to provide the excellent service that our guests have come to expect." The company has said it has conducted good-faith negotiations with the union and that it's hopeful a new collective bargaining deal can be reached without a strike. But a representative for one of the region's leading business industry associations expressed concern about a potential hotel walkout. "Any strike is disruptive," said Rufus Jeffris, a spokesman for the Bay Area Council. "The tourism and hospitality industry is an important economic driver for San Francisco and the wider Bay Area, so we're hopeful that Marriott and its workers can quickly come to a mutual beneficial agreement without a walkout," Jeffris said in an email. A representative for the city's tourism industry, San Francisco Travel, said it was not involved in the talks and declined to comment. The vote comes about two weeks before Salesforce's Dreamforce conference takes place in San Francisco. It is expected to draw thousands to the region. Salesforce spokesman Kristofer Konietzko said the company would not comment on the potential strike's effect on the conference. "We're heads down on making this the best Dreamforce yet," Konietzko said in an email. The San Francisco hotel-labor tensions come amid a strike by workers affecting more than two dozen hotels in downtown Chicago. And in Boston and Hawaii, Marriott workers also voted to authorize a walkout. "Hotel workers are often the most ignored, yet they're essential for a hospitality industry. It's hard work, what these workers do. And they're living in a very high-cost area," Shaiken said. "Just to get by becomes an increasing challenge.